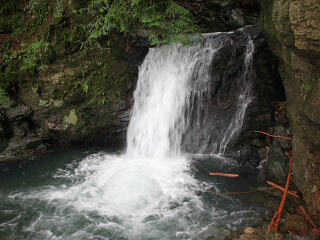 Kamiyama Momiji Falls (神山もみじ滝) is one of the waterfalls in Kamiyama, Tokushima. It is about 8m tall waterfalls. It is the 3rd waterfalls you see at Amagoi Falls. 1. use Local bus to Kamiyama Line. 2. get off at Yoriinaka.